Please make sure you are in the domain www.TheJFiles.com, as the other will not work soon. Please update your bookmarks. Hi, my name's Jamie, and welcome to my home on the web. You can learn more about me here. The main focus of my website is The X-Files!!!! In August of 1999, I went to The X-Files set in California, where I met David Duchovny, Gillian Anderson, and more during the filming of the seventh season episode "Hungry!" I have a lot of information and pictures of the event (more to come soon too) here. I also went to both the New York and the Detroit X-Files Expos, where I met Gillian Anderson and more of the cast/crew backstage! I have lots more info, pictures, ect. on the events, with more to come soon. There is a full review as well as pictures of the New York Expo, and there is some info and pictures of the Detroit Expo and some more pictures on my Langly's Lair site, and on my Love & Liver site. 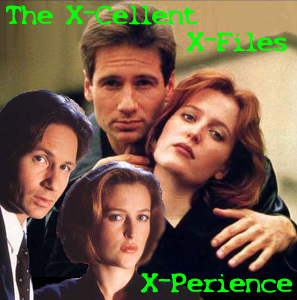 You can also just go to my main X-Files Expo site, or my Gillian Anderson Expo site. You can still see the picture of William B. Davis and I at Slippery Rock University on my Preview page. You can read about me in the new issue (#42) of X-Pose magazine on my visit to The X-Files set. The article is called, "Meeting Mulder." A local newspaper did an interview on me because of my visit too, it's called "Sealed With a Kiss." (issue for 10/07/99) They also did an article on me when I went to the Expos, and it's called "Generation 'X' in Cyberspace" You can also read about when I went to see the X-Files Movie for the first time on June 19th. This is my main page that will link to my different sites. This page will be updated and made better periodically. My main site, featured below, is my X-Files site. Enjoy your stay, and don't forget to take a trip to the basement, to my X-Files page, it's the biggest site ever, that I know of, containing hundreds of images on the main actors and characters and lots of info and other stuff! My pages are now on my new domain at http://www.TheJFiles.com (please make sure you access them from this site now because they won't be on the old site) I am currently still redoing my whole X-Files site to be easier to navigate, and I also now have a somewhat decent navigation page! 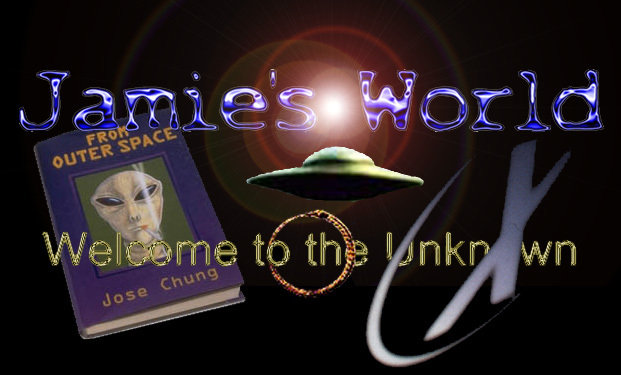 The J-Files: This is the main entrance to my main site. It is all about The X-Files (except for the sub sites listed below). My Set Visit: Read about my X-Cellent time and see pictures of me with the cast and crew! The X-Files Expo: My X-Periences at the New York and Detroit Expos. Includes pictures of me with the cast and crew. Duchovny World: All David Duchovny, all the time. Info and hundreds of images. Gillian Anderson on the Web: Your one stop Gillian shop. Info and over 1000 images. Robert Patrick Online: Your Digital Media Resource Center: Meet the new member of The X-Files family. Mulder/Scully Romance Brigade: My Shipper site. Lots of pictures! The Truth and the Light: All the "good" in the show. Deception and Darkness: All about the evil characters. Includes the site Memento Morley. Blackwood: Fight the Future: Everything about the first movie. Rat Infestation: Skyland Sewers: My site on the wonderful Nick Lea. Government Exposure: All about the Lone Gunmen. It soon will be for their new series. Includes the site Langly's Lair, which is about Dean Haglund and his character. Love & Liver: All about Doug Hutchison and my meeting with him. Brett Bell: Just what it says. Dedicated to David's stunt double/stand-in. Images: Lots of pictures. Lots and lots of pictures. Thousands! Episodes: This is where I post my reviews and pictures of the episodes. X-Files Spoilers (XFS): Early Edition: This is my spoiler page. I watch the The X-Files on a satelite feed before it airs on cable. I post pictures and reviews weekly before Sunday night! I also have two mailing lists for XFS which I run. Years ago it started as an easy way to send out my reviews to a few people at once. Now there's over 600 members on the one list! Behind the X: A behind the scenes look. Pages on the cast and crew not listed above. Behind the scenes pictures as well. Life of an Obsessed X-Phile: Just what it says. Things other members and I do. Musings of an X-Phile: My The X-Files fanfic, poems, and other writings. Manipulated Truths: My gallery of graphics I've made (everything on my sites are designed by me). Please also check out my What's New? page and my Preview page. This is Who We Are: Profiles of the cast/crew/characters. Watch, Worry, Wait: Episodes and spoilers. 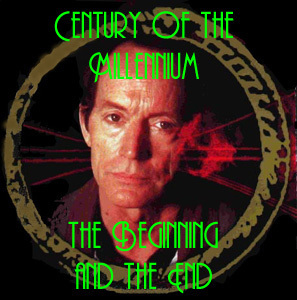 The Time is Near: A countdown to the Millennium, and for important dates for the show. Soylent Green is People: Images. I now have a page for the new show "Strange World." There will be more on this page soon! The other thing that I have on my site, is my Gallery (Manipulated Truths, mentioned above). It contains collages/drawings/manipulated pictures that I made. Most are for the X-Files. Also go there to find out how to get a free image by me for your site. "Lois and Clark: The New Adventures of Superman"
"MSR will conquer! 'Shippers have prevailed!"